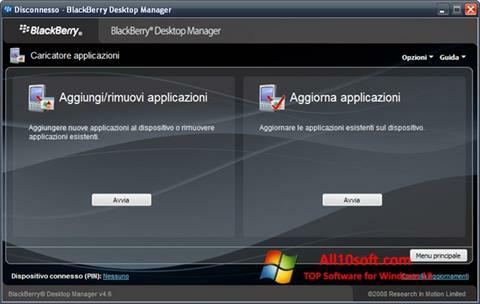 BlackBerry Desktop Manager for Windows 10 - The necessary software assistant for owners of mobile gadgets manufactured by BlackBerry. Provides the ability to conveniently and quickly exchange data between the device and a PC or laptop. For connection can be used cable or Bluetooth. The graphical shell of the application has a nice appearance. Thanks to the simple and clear menu, it is easy to understand. Allows you to access multimedia files, images and documents contained on the device. Can be used to create backups, search and install firmware updates. You can free download BlackBerry Desktop Manager official latest version for Windows 10 in English.